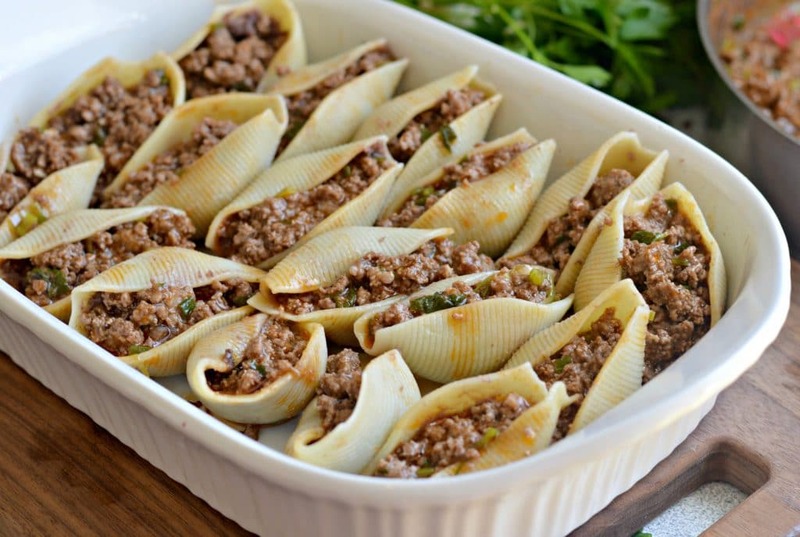 Beef Enchilada Stuffed Shells are perfect for any night of the week. They do not take a long time to make, and they are absolutely delicious. The combination of perfectly cooked ground beef, enchilada sauce, refried beans, and cheese will have everyone asking for more! Jones Creek Beef provided me with some of their delicious ground beef, and I was so excited to try out a new recipe with it. I bought the 85/15 beef, and it was perfect for making these beef enchilada stuffed shells. 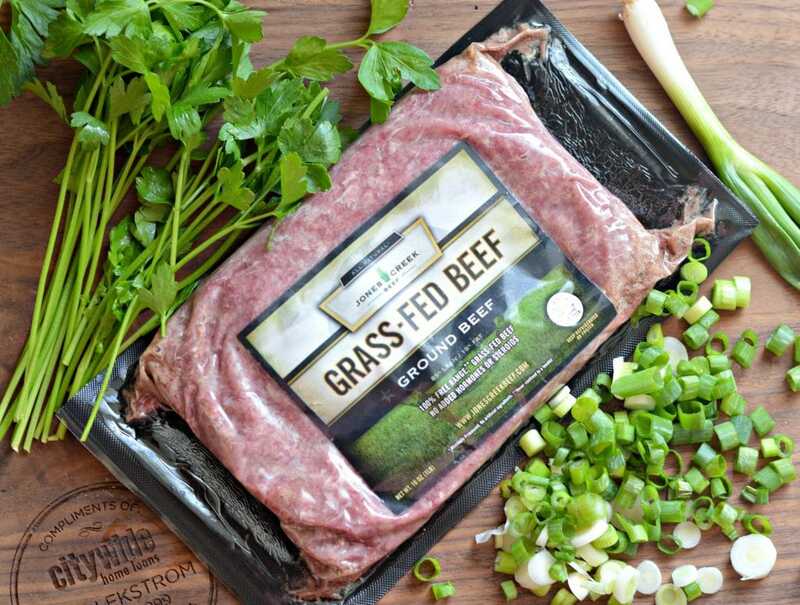 One thing that I love about Jones Creek Beef is that it is grass-fed beef, and you can really taste the quality with every bite! You can find it at Walmart, and it comes in these distinct looking, and convenient packaging. A few years ago I was looking for a new recipe to try and I found quite a few recipes for stuffed shells online. There were many different varieties, and they all look good. At that time, I tried a few different ways of making them, and trying new stuffed shells recipes became a bit of a weekly routine at our house. 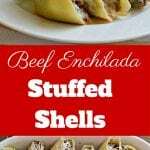 One of my favorite ways of making stuffed shells is this beef enchilada variety. Being from Mexico, I love incorporating flavors from the foods that I grew up with. Enchiladas are very popular in Mexico, whether the green, red, mole varieties. I also am a big fan of Italian food – so combining the flavors of enchiladas with jumbo pasta shells only seemed like a natural choice! This recipe is extremely easy to make. It consists of jumbo shells, ground beef, enchilada sauce (store-bought or homemade), cheese, and refried beans. 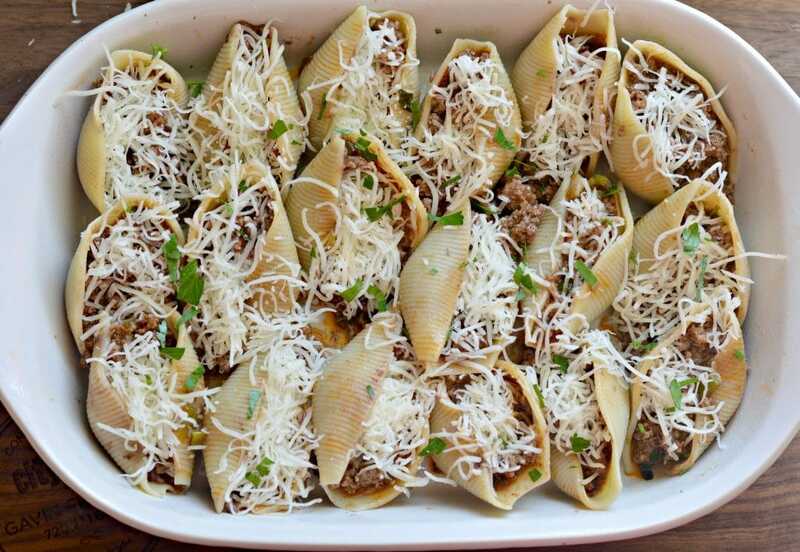 All you have to do is cook the jumbo shells al dente, and then create the delicious filling before topping with more cheese and baking in the oven. I made these again the other night for my family after a pretty long time without making them, and let me tell you – they were a hit! My oldest son was hesitant to try them at first, but when all was said and done, he had eaten 7! I am pretty sure that my husband had even more. It took a little bit longer to get my younger son to give them a try (he is a bit of a picky eater), but in the end, even he ended up eating 3, which made for a happy mom! There are so many different ways that you can make stuffed shells, and this is just one. You could just as easily make chicken or pork enchilada stuffed shells just be switching up some of the ingredients. I hope that you enjoy this delicious meal, and please let me know how it turned out in the comments below! 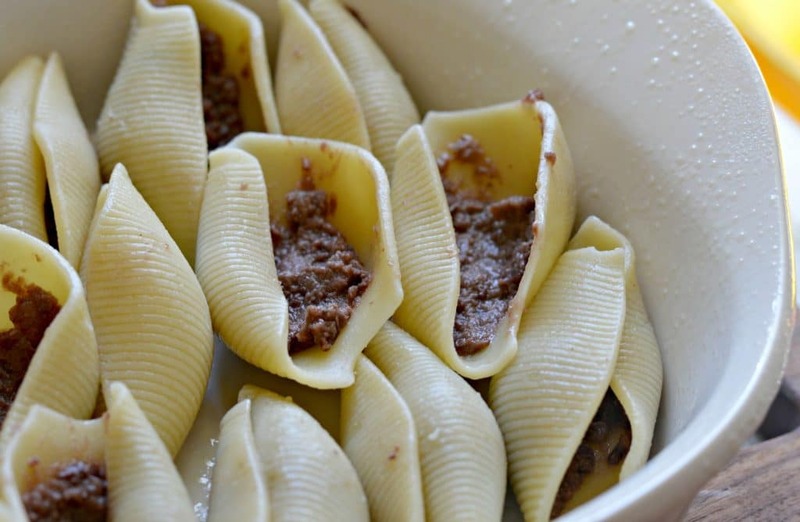 Start by cooking the jumbo shells until al dente, drain and set aside. Heat the refried beans in the microwave or over the stove and season with salt and pepper if desired. 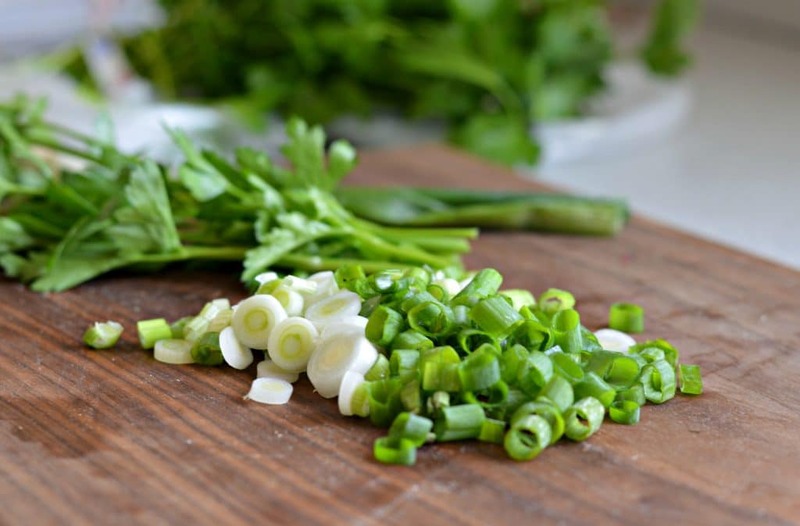 Heat the clove of garlic in a small amount of oil with green onions, and then cook the ground beef before draining excess grease. 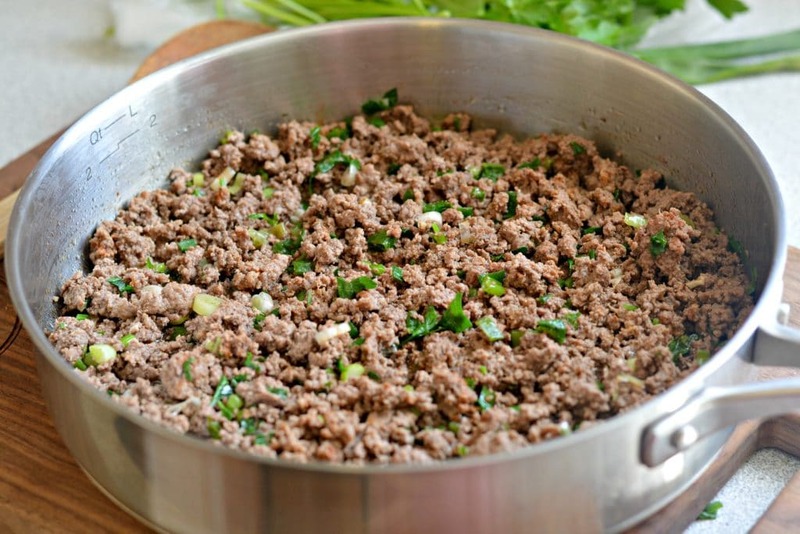 Add the ground beef back into a pan and add the enchilada sauce, and other seasonings and let simmer for 5 minutes - set aside. Place the jumbo shells in a baking dish with a little bit of space between each. 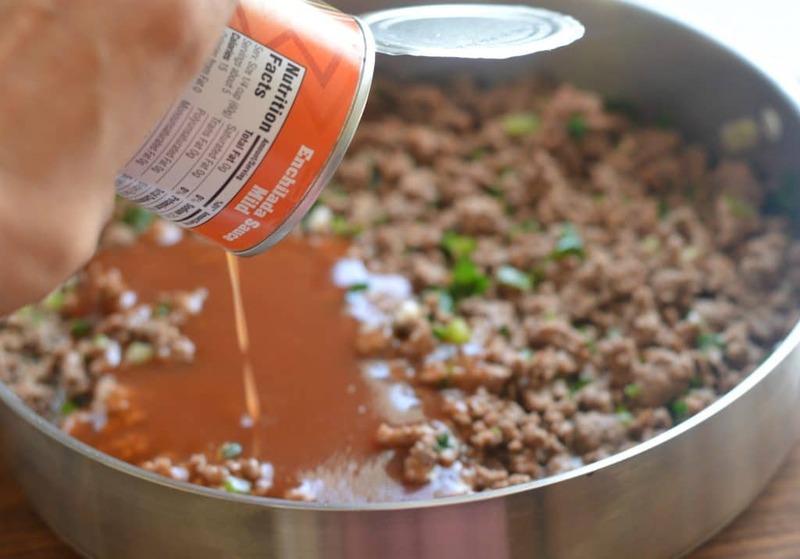 Add a layer of refried beans on the bottom of each, then add a spoonful of the beef mixture, before topping with a generous amount of shredded cheese. That looks delicious! The beef looks like a good product, too. My kids would rave if I made these. Yummed & pinned!! I love Mexican food and pasta…so this is a winner for me. Sounds like a delicious dinner any night of the week. These shells look so amazing I can almost smell and taste them!! 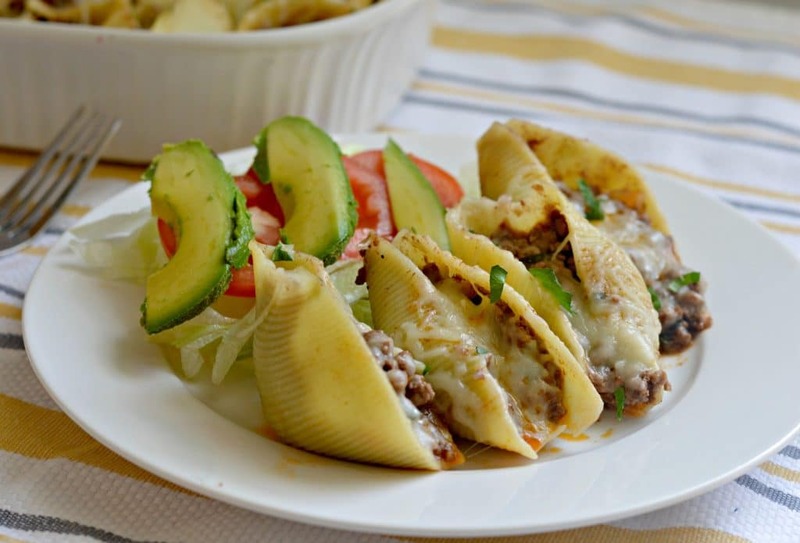 Our family loves enchiladas, so I know we’d love this fun spin on stuffed shells! You had me at “enchilada”! Who wouldn’t love these? What a great change of pace for my usual Taco Tuesday! Pinning now! Stuffed shells are always a fun meal. I love the enchilada flavor twist! What a clever twist on the standard stuff shell – and such and easy to do recipe! Thanks so much for sharing, Charbel!